TEACH any child or adult to READ is a simple home literacy programme. Anyone who can read can teach reading. We view reading as a six-legged animal. Each of the six legs is equally important. If any leg is weaker than the other, the animal will limp and the prospective reader will struggle until all the legs have been mastered. Our system, starting from "a for a-pple", systematically teaches all the legs - reading, writing, spelling, comprehension, memory training, which lead to the sixth leg study skills. Edna Freinkel runs regular full-day workshops to teach teachers, parents and grandparents how to teach reading. For more details, click here. is regarded by many as a pioneer in teaching literacy. In 1958, together with her daughter Edna Freinkel, Rebecca Ostrowiak authored the series TEACH any child or adult to READ, which is based on 30 years of experience successfully teaching children and adults of all mental abilities. co-authored the series TEACH any child or adult to READ with her mother Rebecca Ostrowiak. 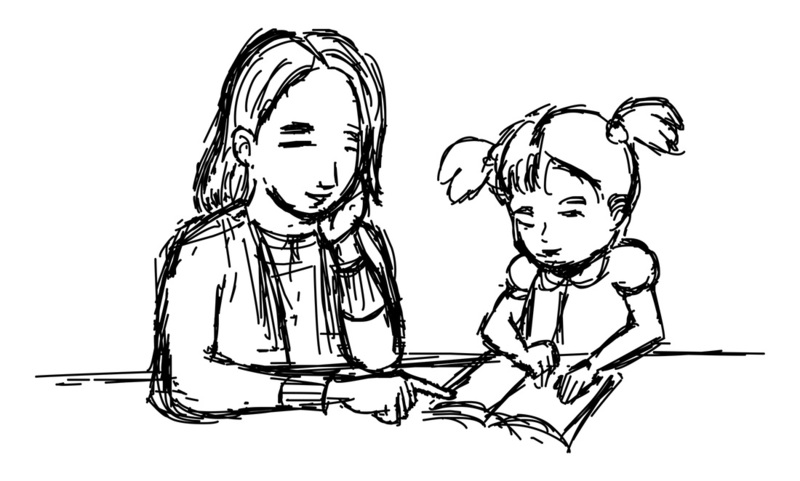 Edna has dedicated her life to teaching reading and training teachers in the method. Edna is Founder and a Consultant of the Readucate Trust and for many years served on the Editorial Board of the International Journal of the British Dyslexia Association - DYSLEXIA. In 2004 she received the South African Presidential Award of the Order of Baobab for her lifelong dedication to the development of specialised learning methods for the learning impaired in South Africa and in 2010 was awarded the UNISA Outstanding Educator Award. Corinne Ossendryver is a qualified Rebecca Ostrowiak reading teacher and has her Masters Degree in Communication and Education through Computers. She is a specialist in the use of multimedia in education. In 2013 together with her mother Edna Freinkel, Corinne edited and updated TEACH any child or adult to READ. 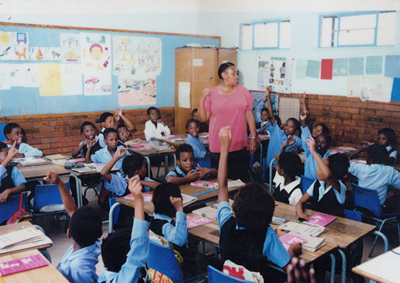 In South Africa, we have trained over 1500 teachers to introduce literacy in all learning areas (i.e. to make EVERY lesson a reading lesson) and to master good class discipline and to improve children's relations with their peers. For more info visit www.readucate.org. 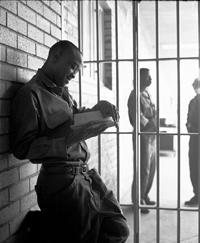 "I came to prison carrying a gun and left carrying a book"
Our offender rehabilitation program trains literate offenders to teach their illiterate fellow inmates to read and write. Thus both groups become rehabilitated. Nothing is more exciting and humbling to see hardened criminals, men and women, begin to realise that they can be useful, that they have good in them and can bring the good out in others. For more info visit www.readucate.org.